This tour brings you the opportunity to relax and enjoy the day without any preparation. It´s family friendly. 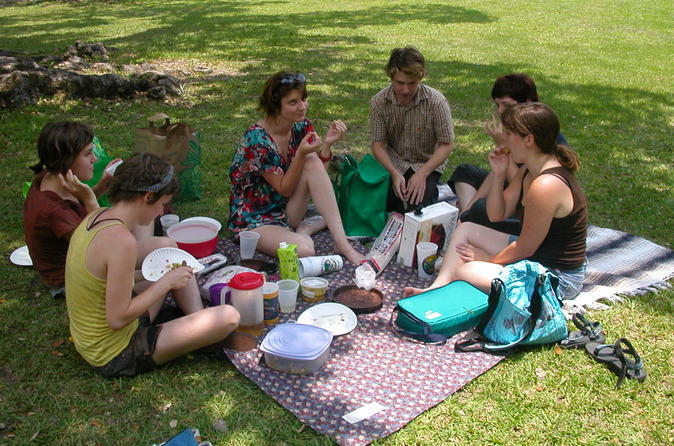 You can enjoy of a bike ride, a picnic under a chilly shadow and snacks. Ride your bike through Madrid Río, walk around and enjoy the attractions for children (slides, zip lines) and many other fun activities on your day out. Select your day and the type of bike and choose your snack, prepare for 3 hours with a special bike, a cooler and a mat. The cooler includes sandwich, fruit and drink per person. This tour brings the opportunity to relax and enjoy the day without any preparation. It´s family friendly. You can enjoy of a bike ride, a picnic under a chilly shadow and snacks. Ride your bike through Madrid Río, walk around and enjoy the attractions for children (slides, zip lines) and many other fun activities on your day out. Make the best of your stay in Spain and embark on the Madrid Bike and Picnic Tour.